Logistics Plan - Most forget this critical step in project planning. - Roberts Architects LTD Roberts Construction Group, Inc. Logistics Plan - Most forget this critical step in project planning. Preparing to build a 2 story addition in early 2018. Moving the old overhead wires is one of the first steps of our Logistics Plan to prepare our wonderful client's home for the addition and remodeling construction project coming. Getting this work done now while the weather is still decent will ease the complexities and shorten the timeline for completion of the addition. Planning ahead with an organized logistics plan messed with the project timeline is mission critical. Improving safety and views at our wonderful clients home by moving electrical, cable, internet services underground. 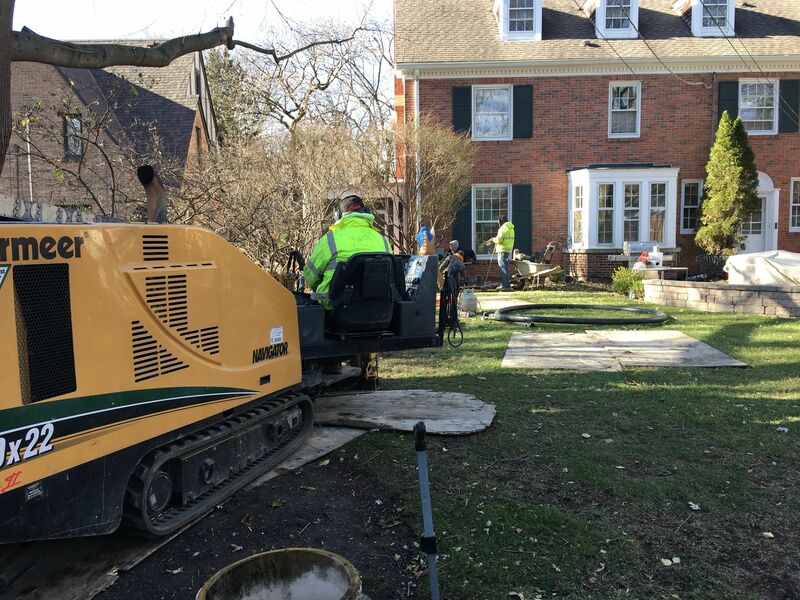 We limit damage (NO TRENCHING) to landscape by boring underground flexible conduits for the wiring, also allows for easier future wiring upgrades.